Roy Tomlinson’s interactive sensorial chamber temporarily disrupts the usual pathways of conditioned visual interpretation. Visitors have the opportunity to explore a constructed environment and create a unique perceptual experience. When we are confronted with an experience that challenges our understanding of how things should be, adjustments are made in the way in which data is interpreted. These adjustments not only alter and remap our relationship to an immediate situation, they can also affect our understanding of perception. 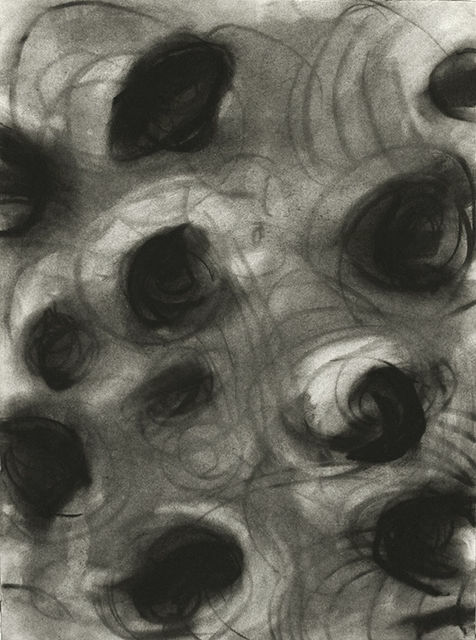 Tomlinson also presents a new body of black and white process-driven drawings. This work is presented with the support of the McGeady Faculty Development Fund.